The TV personality and environmentalist was coy when asked by TheJournal.ie if he would be running in the 23 May elections at a political workshop in Dublin yesterday. 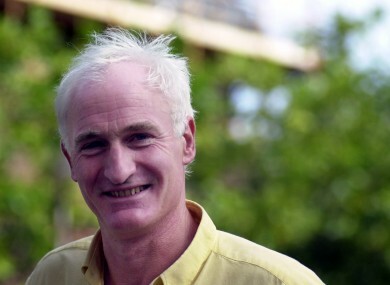 TV PRESENTER DUNCAN Stewart has not ruled out the possibility of running in the local or European elections in May, saying he feels he needs to put his “head above the parapet”. Stewart, who is also an architect and an environmentalist, attended a workshop event organised by a group of independent TDs calling themselves Independents’ Network in Dublin yesterday. He was hugely enthused by what was discussed as TDs gave practical advice and tips about running election campaigns, but Stewart was non-committal when asked by TheJournal.ie if he would be running in the 23 May elections. He expressed concerned about the government’s attempt to abolish the Seanad and said that the upper house needed to act as a watchdog on the Dáil. He said that the current strategy around political donations is “untenable” and added that there is “a huge unrest in this country”. He criticised the current coalition government saying “all we have seen for the last three years is squabbles between two ideologically opposed parties”. Though he declined to say for definite whether he would seek elected office, he said: “I feel I need to put my head above the parapet. I am looking at the situation, trying to discern what I can plan. He said he was concerned about environmental issues, particularly Ireland’s reliance on fuel imports. He also criticised the media, saying they are “part of the problem”. Email “'There is a huge unrest in this country': Duncan Stewart not ruling out election bid”. Feedback on “'There is a huge unrest in this country': Duncan Stewart not ruling out election bid”.